Well now that the May magazine has finally hit the meetings I can start talking about the latest amazing opportunity I’ve been secretly working away on. 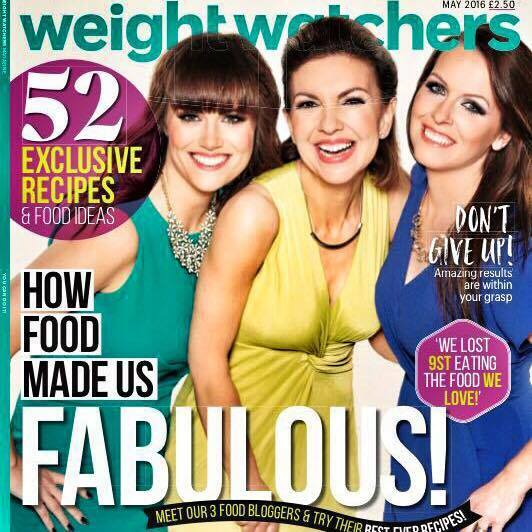 My favourite mag, Weight Watchers Magazine (UK) has asked me to continue writing for them but this time with two fabulous other food bloggers, the fabulous Janey Green (Slice of Slim) and the ever popular Louise Tompkins (Instagram @ww_lougoldmember). 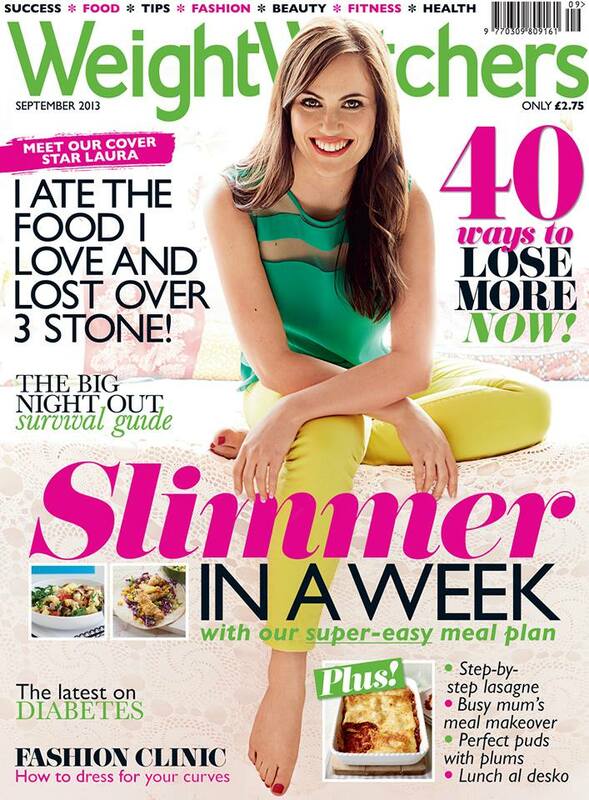 The May issue, which is available in shops from April 6th, features a recap of our weight loss and blogging journeys, our favourite ‘go to’ recipes and, believe it or not, us on the cover!!! The photoshoot for the issue, which took place a few months ago now, was a chance for us all to start getting excited about this new joint venture. Whilst I’ve followed both ladies social media pages for a long time, meeting them for the first time was great and having a photoshoot with others (usually I’m on my own) was such fun! The day of the photoshoot flew over. From having our ‘before’ shots taken (much to my objection! 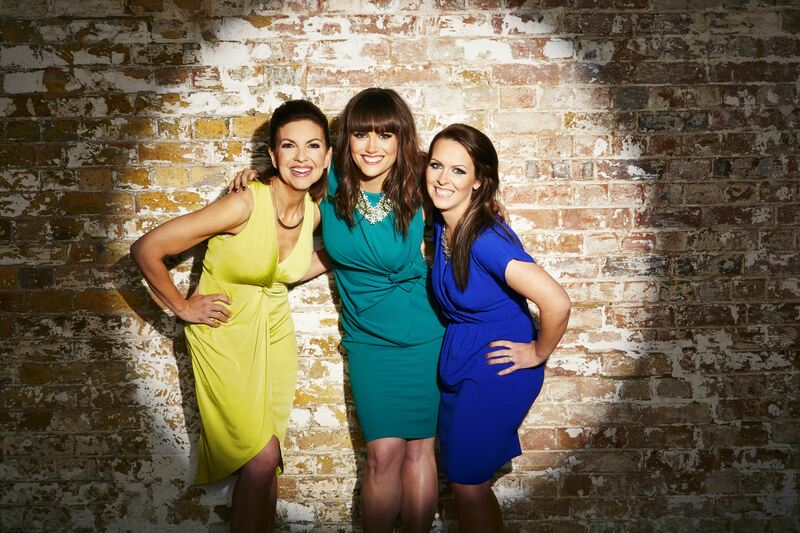 ), to selecting outfits from a huge range of clothes with stylist Lydia, to having our hair and makeup done by the fabulous Holly and Enya before we knew it, it was time to get in front of the camera and have our ‘glam’ shots taken. I have to admit, when I found out that the photographer was the amazing Nicky Johnston (top photographer and judge from Britain’s Next Top Model) it made me a little nervous. After all, it’s not every day someone of his calibre is taking your picture!!!! But my nerves weren’t necessary at all and he was brilliant- he’s such a lovely man and quickly put us all at ease. Editor Helen, Picture Editor Carl and Art Director Kirsty were around all day too and were a great help in boosting our confidence whilst shooting. After a healthy lunch of chicken, houmous and salad (and being introduced to my new favourite snack Quorn Mini Savoury Eggs (only 1sp each, so tasty! )), we headed into the kitchen for our cooking shots. After lots more smiling and posing preparing my Speedy Seafood Pasta recipe (which is also in the mag), the day was over and it was time to head home. We were all shattered but had thoroughly enjoyed the whole experience. It wasn’t until a few days ago that we found out that we were going to be on the cover together. What an amazing surprise it was waking up to the image of the cover in my inbox!! I can honestly say that when I started my journey, I would never in my wildest dreams believe that I would ever make it onto the cover of a magazine. I feel incredibly lucky and privileged to be able to now say I have done it twice. This means I get to experience the surreal feeling of seeing my own face smiling back at me from the shelves of supermarkets and newsagents all over again. Whilst I am still a little in shock I am also hugely thankful. I know that without each and every one of you and your support for my blog and social media pages that I wouldn’t have got this opportunity again. Thank you so much for reading my musings and making all my recipes. I love to hear your feedback and see the pictures of the meals you have cooked up from my website. It’s so great to see how much support for healthy living there is out there in the blogosphere. I know both ladies that are on the cover with me inspire lots of you in their very own ways. Social media may get a bit of a bad rep sometimes but it sure does make for one hek of a supportive dieting community! I would love to know what you think about the new magazine, and as always, do keep making and feeding back on my creations! I’ve been blogging over 3 years now and with almost 200 recipes, I am nowhere near running out of ideas! i am just about to embark on my journey i have about 6 stone to lose. i have already been making your receipes and everyone i have made is fantastic. keep them coming. good luck and look forward to having new receipes. maybe you should put them in a book it would sell like hot cakes. Hi Laura Well done . Love reading your blog. Is this a full time job for you because it must take a long time to calculate all those dishes especially now we have smart points. Which wt watcher group do you go to. Love the front cover. Firstly congratulations on your amazing journey you really are an inspiration. I was just wondering where the red/pink dress was from that you wore in the photo of you cooking? It looks lovely and I’ve scoured the magazine to try and find out where it was from but it doesn’t say ! Keep up the wonderful website.